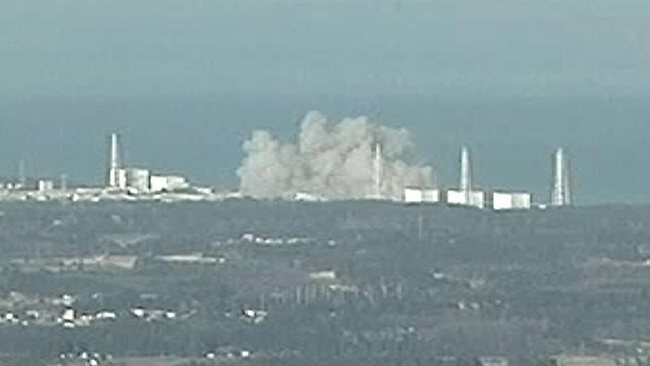 A new explosion rocked Japan's Fukushima Daiichi nuclear power complex on Monday, sending a plume of smoke into the air. Reuters reports from Tokyo: Japanese authorities have been working desperately to avert a meltdown, compounding a nuclear catastrophe caused by Friday's massive quake and tsunami. The natural disaster killed hundreds and left thousands missing, sparking a huge rescue operation. Everything has been flattened until about 2km inland, and says it looks unlikely that many survivors will be found. Japanese police have so far confirmed 1,597 deaths, but the final toll is expected to be much higher. Tens of thousands of people have been evacuated from the area around Fukushima nuclear plant. At least 22 people are now said to be being treated for the effects of exposure to radiation. Government spokesman Yukio Edano said there was a low possibility of radioactive contamination from the latest explosion at the plant. He said the reactor's containment vessel had resisted the explosion. He announced that the country would have to endure rolling power cuts from Monday. But later, the government announced that the planned blackouts had been postponed, saying they may not be needed if people can conserve energy. Source: BBC and Yahoo news from Reuters!